Rock mechanics is the theoretical and applied science about the physical behavior of rock and rock masses as well as their reaction to the force fields of their physical environment. It also deals with the application of the principles of engineering mechanics to the design of the rock structures generated by mining, drilling, reservoir production or civil construction activity, such as slopes, tunnels, dam foundation mining shafts, underground excavations, open pit mines, oil and gas wells, road cuts, waste repositories and other structures built in or made of rock. It also includes the design of reinforcement systems such as rock bolting patterns. Testing of rocks mainly aims to simulate stress conditions that a rock sample is exposed in nature and to get necessary parameters such as stress, strain, elastic modulus, poisons ratio properties to evaluate specimen. When a rock sample is subjected to defined stress conditions in the laboratory, the stress-strain diagram can show non linear relations also for very small strains, hysteresis, anisotropy, etc. All these phe­nomena can be mathematically described and used for mechanical design simulations. Controls offer an extensive range of modern laboratory solutions for strength, stiffness and durability determinations according to international standards suitable for a wide range of rock types, from brittle to soft samples including also key sample preparation equipment. 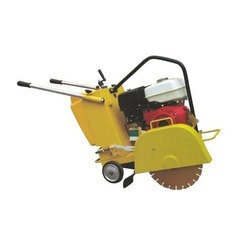 Suitable to cut/drill cores of concrete, rocks, stones, tiles or the similar materials. 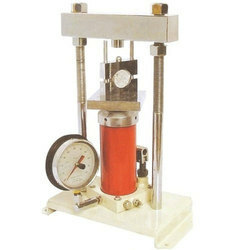 The machine is suitable for core samples of size upto 150 mm diameter with the help of thin walled diamond bits which are at extra cost.The machine has sturdy base with pillar support in which rack and pinion is provided for adjustment in height and penetration assembly. The leveling screws are provided at the base. For gripping the sample in position suitable grips are provided. A suitable petrol engine is fitted in the machine with cooling arrangement with water. The base frame is also fitted with wheels for ease of transportation. For people who work with stone, brick, large tiles or blocks, it goes without saying that precision is crucial to the end result. But the efficiency of the machine should never compromise the need for good ergonomics and a reasonable workload. Put simply, the stone or tile you cut must fit perfectly,just as the machine and the blade you use must fit your work situation perfectly. 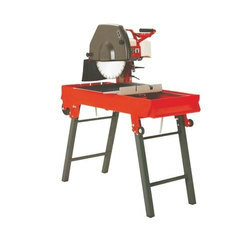 Universal table saw with a unique super-stable height adjustment device, lockable in any position. max. cutting depth in top position is 230 mm, by turning the material over. Driven by electrical motor or by engine as per customers requirement. The trolley in which the engine is fitted is supplied with cooling arrangements with the help of a water tank. Arrangements to control the depth is also provided. A safety guard is also provided on the diamond blade. Two wheels are provided for easy movability of the machine. The instrument is useful for testing specimen from 50mm dia to 100mm and of thickness of half the diameter. This is to test for indirect measurement of tensile strength of rocks. The specimen is held in circular jaws, this is primarily similar to a compression machine and consists of a small load frame having sturdy base with two vertical threaded rods and an adjustable cross head. The hydraulic jack is fitted at the centre of the base of the load frame. The jack of the load frame is self retracting and two plain platens are supplied. A pressure gauge capacity 0-100 kn x 1 kn is fixed at the base of jack. A maximum pointers is also provided on the gauge, a pair of semi circular platens for 50mm dia samples also provided. The instrument can be used in field also. 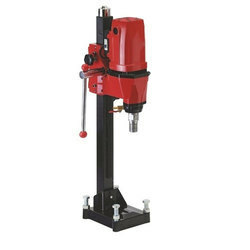 Compact and portable Lab test core drilling machine is designed to cut cores up to 200 mm diameter from concrete, asphalt and similar hard construction materials. The machine comprises a vertical support column which carries the drill head/motor assembly. The motor assembly comprises a 6.5 hp petrol engine. A ball screw mechanism enables close control of the drilling pressure and rapid return when drilling is completed. A water spraying assembly is mounted on the machine. The complete assembly is supplied on a rigid wheel mounted metal base frame with leveling and fixing facility during the operation. 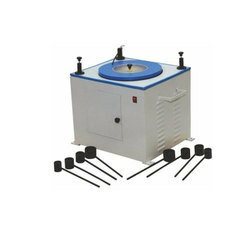 This equipment is used for determining unconfined compressive strength of intact rock core specimens. The rock sample is cut to length and the ends are machined flat. The specimen is placed in a loading frame and if required heated to the desired test temperature. Axial load is continuously increased on the specimen until peak load and failure are obtained. Dial gauge 25mm travel, 0.01mm least count. The Apparatus are used for determining the bond strength between anchored reinforcing steel bar (rebar) and concrete and for checking anchorage performance in-situ. 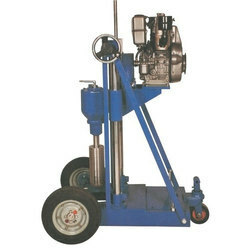 Battery Operated Digital Readout Unit connected to a 30 tons capacity hydraulic jack and hand pump provides 1 % sensitive load or tensional strength value readings. The apparatus is supplied complete with three different jaw sets which allows user to test anchorage rebar with different diameters. These jaws are made of high strength steel. 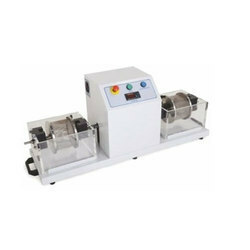 This unit is designed for cutting and grinding cylindrical rock specimens upto NX size. The outfit includes 200mm dia diamond impregnated cutter, a fine diamond impregnated grinding wheel a water supply system and sampler holder. A V-Vice, to hold the sample up to 55mm dia x 140mm long to be cut parallel and square to the longitudinal axis is provided. Cores longer that 140mm can be prepared by reversing the specimen and holding against the vice, A hand feed arrangement is provided to facilitate the specimen with a uniform and smooth feeding motions. 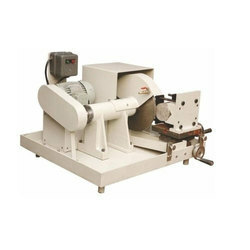 This bench mounted single spindle lapping machine is Ideally suited jar the final polishing of mounted rock or concrete specimens. 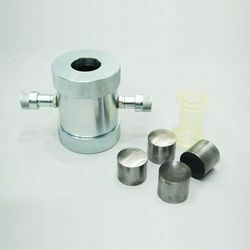 Two sample holders of sample size ordered for are provided with each machine as standard supply Sample holders of other size can also be provided on request. A swing-in tap, for continuous water supply during operation is also provided. The automatic grinding machine provides fast grinding of cylinder specimen ends to obtain plane and parallel surfaces according to EN and ASTM standards. Three units of ø38 to 100 mm or two units of ø150-160 mm concrete cylinders ends can be ground simultaneously with the suitable cradle and water restraint panel. The length of the any specimen must be longer than 70 mm. According to ASTM and EN standards, the planeness accuracy of grinded surface is 0.05 mm. and the deviation of perpendicularity of the side with reference to the end faces is 0.5o. 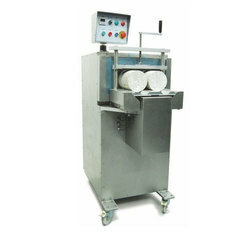 The equipment has selectable advance grinding time functionality by user from 50 to 400 seconds. Optimum grinding time per end of all type specimens is 90 to 120seconds. The cradle which specimens are fixed on has automatic bidirectional radial displacement ability. The safe and ergonomic design prevents the user to exposure to water and dust and provides easy access to the water inlet and outlet.Specimen cradles and water restraint panels can easily be installed without the need for any assembly. Mobility of the machine is achieved with the help of the integral wheels, and all components of the system can be safely accessed for easy maintenance. The frame is manufactured from aluminum to obtain a lighter weight and the stainless steel exterior shell assures resistance to corrosion. The water restraint panels should be ordered separately for cubic specimens or different sized cylindrical specimens. 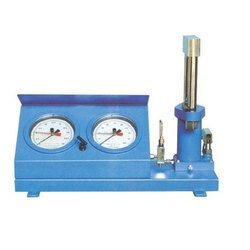 Point Load Index Tester, a rock testing instrument for determining the Diametrical Point Load Strength Index of rock cores and Irregular Lumps which may be tested without any treatment. 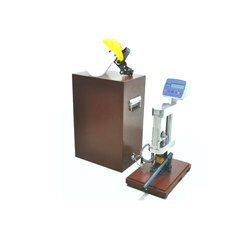 The Point Load Test is primarily as index Test for strength classified of rock materials. This instrument is mainly intended for field measurements on rocks specimen, but it can be used in the laboratory. The results of the test may also be used to predict the uniaxial compressive strength of rock from correlations. The apparatus is light and portable and can be used in the laboratory as well as in the field. The results of the test may also be used to predict the uniaxial compressive strength of rock. The frame has adequate adjustments to align perfectly the loading axis passing through the centre of the bearing plates and loading platens at the position of the ram of the hydraulic jack. 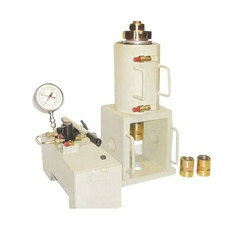 Digital Point Load Test Apparatus consists of a 60 kN capacity load frame with a hydraulic loading ram driven by a hand pump. 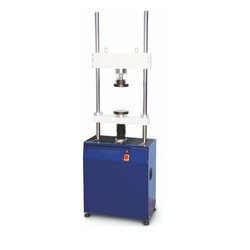 The frame is adjustable for testing of samples up to 102mm diameter. A ruler assembled on the frame allows the direct measurement of the distance between the conical platens before and after the test. The compression load is measured by a pressure transducer connected to an advanced digital display unit assuring the best accuracy and resistance to the failure shocks. 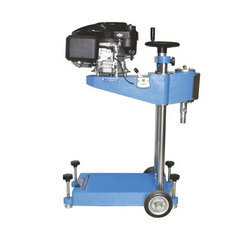 The ZI 6012 slake durability apparatus consists of a motorized drive unit which is mounted on a base plate and which can rotate two or four drums at a speed of 20 r.p.m. The tank assemblies are filled with water to a level 20mm below the drum axis. The test drums are manufactured from 2.00 mm mesh, 140 mm dia. X 100 mm long. The objective of the test method is to measure the working and ultimate capacities of rock bolt anchors. The system comprises of a central hole jack,hand pump with a load gauge, directional control value (only for central hole jacks above the capacity of 500 kn), flexible hose pipe 5 mts, truss high tensile bolts with coupling. In general the pull out force is indicated on the load gauge, however a load cell with digital indicator can be used to measure the pull out load. Arrangement is provided for fixing the dial gauge for estimating deflection against the load. These are used to measure the working and ultimate capacities of rock bolt anchors. Further, our products comprises of a central hole jack, hand pump with load gauge, directional control valve and only for central hole jacks above the capacity of 500kN, flexible pipes, truss high tensile test rod with coupling. Hoek Cells have been designed to be used for triaxial testing of rock specimens. Hoek Cells comprise a steel body complete with two quick release self-sealing couplings, two steel end caps which are screwed to the cell body, 2 pieces of upper and 2 pieces of lower loading caps with spherical coupling and a rubber sealing sleeve to separate the specimen from the cell fluid. ZI 6015 Hoek Triaxial Cell BX, 42.04 mm dia. ZI 6015-B Hoek Triaxial Cell NX, 54.7 mm dia. 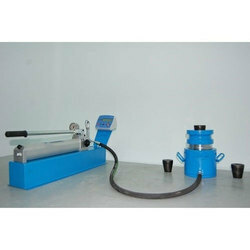 Looking for Rock Testing Equipment ?